Our expertise in the design and assembly of electronic modules, interfaces, adaptors and lead-sets has been developed over 20 years of Test Routine development. In recent years we have moved into the custom electronics and firmware space in order to capitalise on an increasing need for this service in the Defence sector. 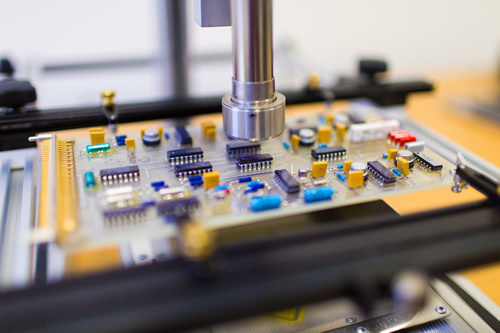 Design, prototyping and volume production of electronic assemblies. 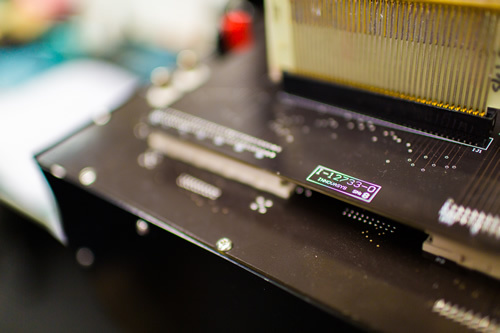 Through-hole and surface mount technology on either rigid or ﬂexible PCBs. Reverse engineering and reproduction of obsolete and unsupported electronic assemblies. Innovasys designs, manufactures and assembles a range of electronic modules, including custom interface devices, lead-sets and cables that form part of our Test Program Sets and Test Routines. Our service includes the design and manufacture of enclosures to house our electronics. These items can often add significant cost to a project and one of the key benefits of utilising Innovasys to develop these items, is that our design process focuses on identifying when we can reuse existing hardware and/or rationalise the amount of hardware required. This can substantially reduce development cost and time and reduce the on-going cost of maintenance. If you are responsible for maintaining a system where faulty electronic modules are not readily replaceable, Innovasys can assist by providing cost effective repair services or by developing support tools to allow in-house repair. IPC J-STD-001 for inspection of electronic assemblies. IPC 7711/7721 for rework/repair of electronic assemblies. Test Routines (TR) and Test Programs Sets (TPS) consist of automated functional tests and associated interface hardware. They are designed to test and diagnose faults on electronic assemblies using a standard suite of computer controlled equipment or Automatic Test Equipment (ATE). Innovasys has a proven track record for producing and maintaining TRs and TPSs for the ADF. We have been engaged for more than 20 years to develop TPSs to support the RAN Surface Fleet and have developed over 120 TPSs for use on the RAN's RTS-4000 Hybrid Tester and provide maintenance support for approximately 500 GenRad 2225 TPSs. As experienced ATE through life maintainers, we have faced the challenge of ATE obsolescence and the need to migrate existing TPSs, including their hardware onto new platforms. Over the years Innovasys has been responsible for migrating the RAN Surface Fleet's TPS investment from the USN TAT to the RAN M3-ATS and subsequently to the RTS-4000. Although we favour simplicity, our specialist hardware engineers are capable of producing complex interface devices to overcome ATE deficiencies and extend the stations' test capabilities. Innovasys offers reliable in-country support of Automatic Test Equipment (ATE) and associated components. We are recognised by the ADF as subject matter experts in ATE management and maintenance; the fundamental management principles apply irrespective of the target ATE. Complete Support Solution development – requirements analysis, ATE selection, development and training. Development of Performance Speciﬁcations for functional test and diagnostic routines. Development and implementation of Technical Maintenance Plans. Development of course material and delivery of Operator and Maintainer Training. Conﬁguration Management and Obsolescence planning. Innovasys couldn't thrive without great partners.